Me and J.P. II 1981. This is a cutting from the Atlanta Journal/Constitution as a member of the Atlanta Boy's Choir with Fletcher Wolfe conducting. 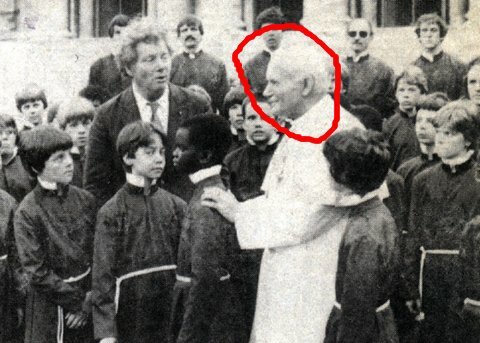 I know everyone is going to ask me this, so I went ahead and circled the Pope so you could tell which one is him. Welcome to my Home Page! These pages show a few of my interests and hobbies. If you know me and haven't spoken to me in a while, please drop me a line (see contact information at the bottom of this page.) I love catching up with old friends. How does a quince taste?